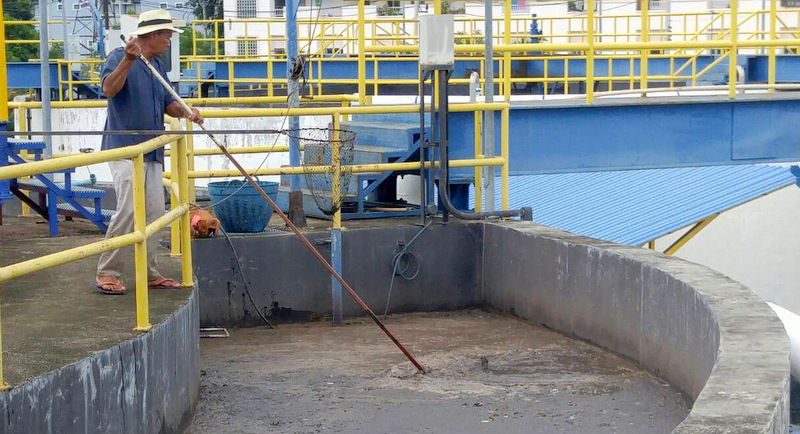 PHUKET:-- A fault in the construction of the upgrade to the Patong Watewater Treatment Plant has allowed raw sewage to flow untreated into Patong Bay, The Phuket News has confirmed. The spill potentially exposes thousands of unsuspecting tourists at Phuket’s popular Patong Beach to the pollution. Patong Mayor Chalermluck Kebsup confirmed the news early this afternoon (Feb 9). Well i don't think anybody will be fired for this, just another mai pen lai. Not sure which smells worse, the sewage, or The Mayor's BS. It's not really a fail. They were just caught out dumping raw sewage as they can't handle the waste volume. Keep in mind this happened on the exact same day as the article about "too many ignorant foreign tourists spoiling Thailand's marine life"
Been going on for years, particularly north of that overpriced restaurant built on the rocks. Haven't swam in Phuket waters for nearly 5 years. I got an ear infection at Kata beach and it took 3 courses of antibiotics and 6 weeks to get rid of it. It affected my ears and throat and had to see a specialist in Bangkok at great expense. All the beaches are dirty with pollution and not just sewerage. It's grey water from hotel showers and the many mom and pop laundry's that pump the water direct into storm water drains. the gf and sister took me to a beach a couple of hours outside bangkok, i forget the name, the place was pretty much 100% locals and packed. it was filthy with garbage; plastic and uneaten food and the sea was a grey colour with plenty of plastic and other rubbish floating in it. i've never been to such a polluted beach. the locals seemed to love it. So if smoking costs 100,000 then what fines should they be paying for destroying the environment ? A post containing a derogatory slur comment toward Chinese people has been removed. Ah, bringing the glitz and glam of Pattaya to the south. At least nobody dare smoke on the beaches, or, now, go into the water. Oh well. Is Patong's mayor stupid or just ignorant? "However, I am also urging the contractor to accelerate the work to be completed as soon as possible, by September this year before the monsoon season arrives, as we cannot work during the monsoon or rainy season,"
The monsoon and rainy season starts in May, not September. The time of the high tide is not fixed in Patong. It changes 50 minutes every day.